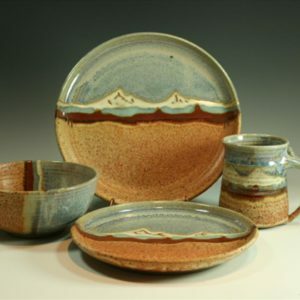 Blue Spruce Pottery creates a variety of unique handmade pottery for functional and decorative use. 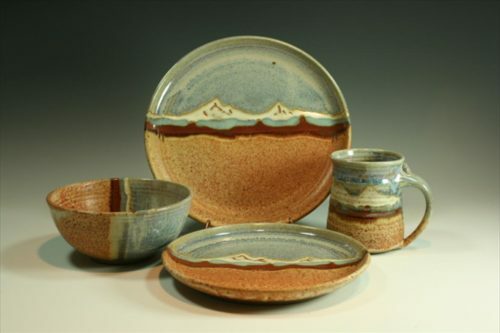 Blue Spruce Pottery was started in 1976 and it is family owned and operated business. 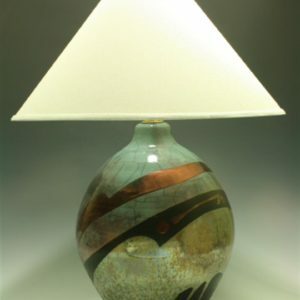 Their studio is located in Bend, and the beautiful landscape inspires much of the imagery, forms and textures that are used to make their Raku and stoneware pottery. 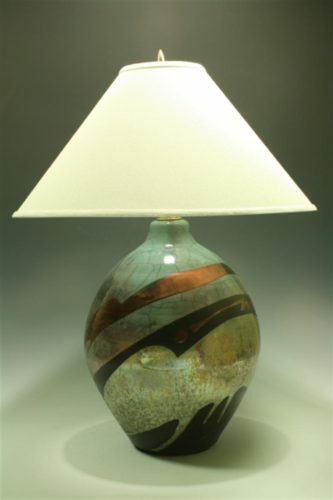 The family works together to create a variety of unique handmade pottery for functional and decorative use.